This project involved the construction of up to five extra overtaking lanes on the Warrego Highway between Oakey and Dalby. 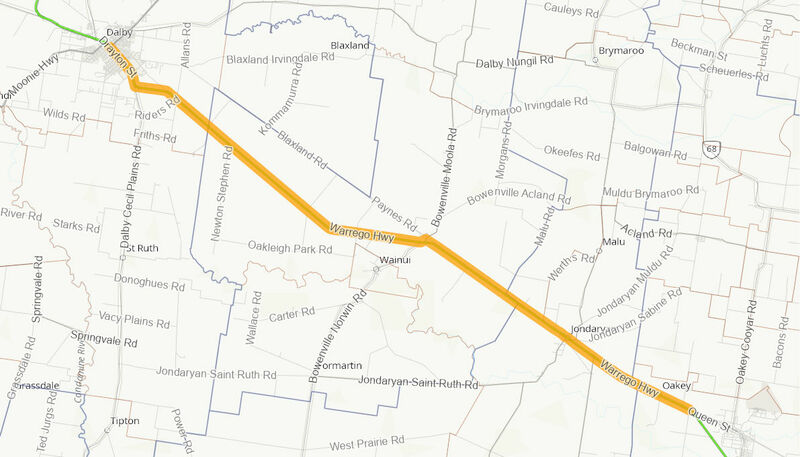 The new overtaking opportunities will improve safety and reduce travel times on the Warrego Highway. The Australian Government provided $10 million to the project. Construction was deferred until late 2012 as the flood recovery and reconstruction works on the Warrego Highway took priority. Works were completed in June 2014.